The allure of hosting a mega event, such as the World Cup, is something that many countries compete for year after year. This makes you think that there would be an immediate economic impact and many positive draws from putting on such a spectacle. We visited Stellenbosch University, outside of Cape Town, South Africa, and discussed this topic with a few top professionals in the area. There was a lot to learn about the landscape behind this tourist attraction. One of the main aspects to understand is that sport tourists are different than traditional tourists. Generally, when people vacation in Africa they come for the “big 5” wild animals associated with the country, safaris, beaches, and other traditional tourist incentives. However, especially in these economic times, people aren’t going to be as likely to spend their dollars in these areas. For the most part, soccer fans spend money solely on tickets, food, and drinks. At the same time that these sports visitors are keeping their pockets closed, other tourists are not visiting. Due to increased flight and hotel prices brought on by the World Cup, non-soccer fans generally won’t come to the host country during 2010. South Africa has spent over $52 billion dollars to build stadiums, infrastructure, and other costs directly related to the World Cup. One positive of hosting such an event is that there are now better roads and resources to move forward with. However, the total monetary cost is an appalling number. To put it in perspective, Beijing spent $48 billion to host the Olympics, and this was the most of any Olympic event, to date. Just like many think that there are economic benefits, many also assume that the event is providing many jobs. That’s true, but unfortunately those jobs usually are not permanent. There were over a million jobs terminated last year, and 100,000+ World Cup-related jobs lost this year due to the construction of stadiums and roads being completed. At the end of the day, there are many immediate numbers that don’t support a positive picture of the World Cup in South Africa. It will take between 10-18 years to actually see the economic impact of this event. Regardless of the figures, it is the infrastructure and word of mouth that the country is hoping to benefit from and build upon. It is up to the visitors, such as myself, to explain the beauty, love and impact that visiting South Africa can have on people. Comments: AEG Facilities has signed its first agreement on the South American continent, signing a management agreement for the $106 million, state-owned Pernambuco Stadium in São Lourenço da Mata, under construction just outside of Recife in Brazil. The deal puts AEG Facilities in five continents and at the helm of a future FIFA World Cup stadium. The company has entered into an agreement to join Odebrecht, a Brazilian engineering and construction firm responsible for projects like the Tripoli Airport in Libya and a high-speed railway between Madrid, Spain and Lisbon, Portugal. Fernandes Arquitetos Associados is the lead architect on the 45,000-seat stadium, set to anchor a business and residential complex that will eventually house 9,000 units. The site is one of 12 stadiums being constructed or renovated in advance of the 2014 games. AEG will operate and manage the facility, said Bob Newman, AEG Facilities chief operating officer. The facility also has an environmental component. Newman said Odebrecht was planning to build a rainwater collection system into the stadium, along with solar-panels and natural light and ventilation. The project also gives AEG Facilities a foothold in an emerging economy with a gross domestic product that has grown two percent every quarter for the last year. The sports and entertainment community is set for two periods of venue growth, both with the World Cup and the 2016 Summer Games in Rio de Janiero. Venues Today is very excited about hiring Philip Costa to cover the World Cup for our online properties. This senior at the University of Florida is currently doing a multi-week tour through South Africa with a group of students at George Mason University. We could tell you more about one of VT’s favorite interns (besides our own Heather and Jessica), but we figured we’d give the jet set traveler his own chance to introduce himself. Hello Venues Today readers. I’m Phil, a lifelong sports and soccer fan (and soon to be job applicant!). 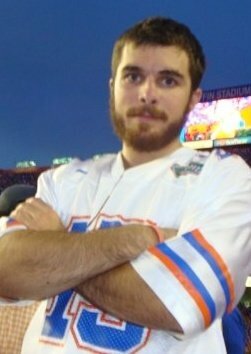 I am a 4th year Sport Management student at the University of Florida in Gainesville. Throughout my time in undergrad, I have had the opportunity to attend industry conferences such as Event and Arena Marketing, the International Association of Assembly Mangagers, and Sports, Entertainment and Venues Tomorrow conference in Columbia, S.C.. I’ve also worked at the O’Connell Center and Athletic Association at UF. But that’s all on hold as I set off on a three-week journey to South Africa with a group of students, and a professor from George Mason University. During this trip we will attend three soccer matches, check out a variety of tourist destinations, and see the sport best described at The Beautiful Game. I plan on updating the blog throughout my trip and providing a better understanding about soccer, South Africa’s sport system, and the FIFA World Cup. Stay tuned…my first bout is at Nelson Mandela Bay Stadium to Germany play Serbia in a Group D matchup.